Before I got back into sewing, I was subscribed to Stitch Fix, a mail order service that sends you a selection of clothing every month, which you can then review and keep or return. It’s supposed to be “personalized”, with a shopper evaluating your preferences and doing all the hard work for you, while you get to relax and enjoy the surprise. It was exciting at first- but after a few boxes, I began to feel like my personal shopper didn’t really understand me.…because she kept sending me all these things labeled “dry clean only”. I DO NOT live a dry clean only lifestyle- I live a peanut butter cracker, popsicle dripping, criss-cross applesauce kind of lifestyle, and I like my clothes to be stylish but appropriate for that- so I unsubscribed. 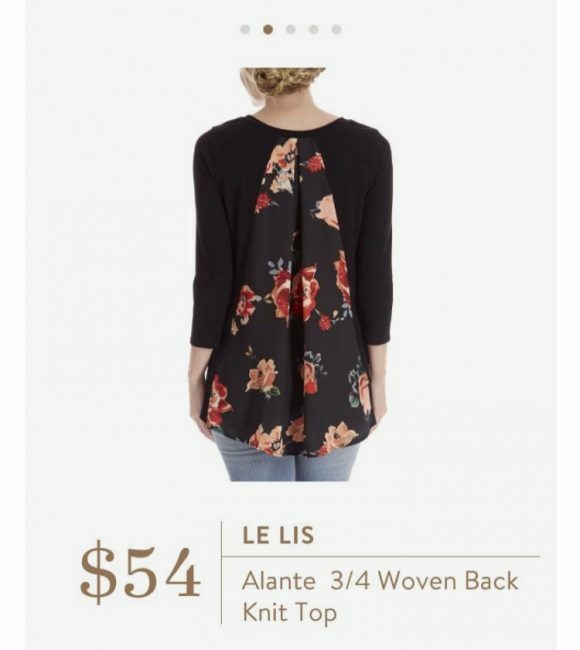 I do still have a “Stitch Fix Pinboard” though, and while I was looking at it the other day I came across this woven back raglan top. 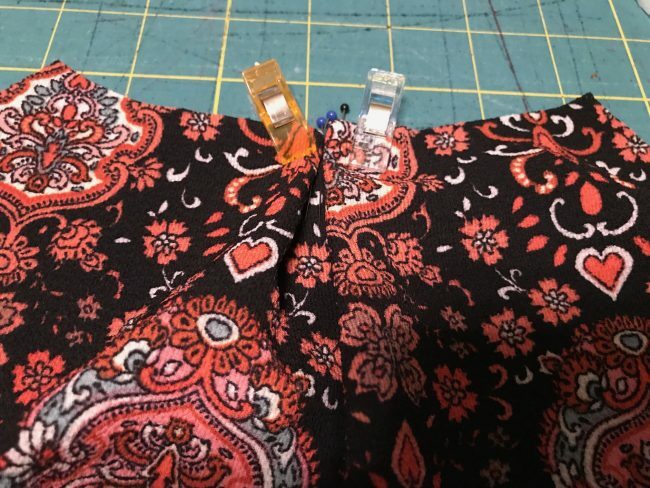 In the chaos of returning from our Hawaii vacation, starting homeschool and recovering from a few illnesses, my Bee Box fabric had gotten put aside, but I was immediately inspired to pick it up again and hack myself a little top using the Hey June Lane Raglan pattern. 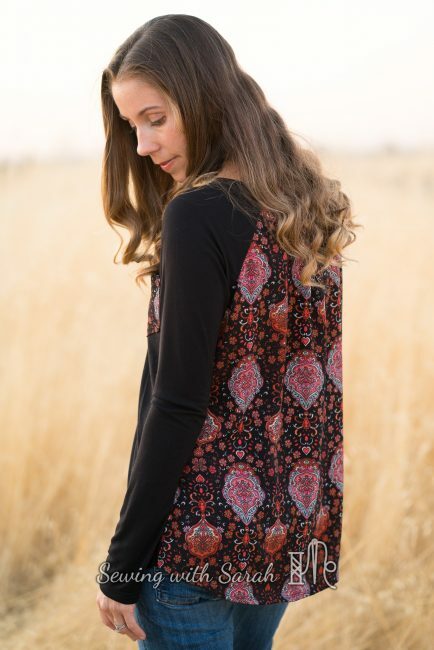 As you might have noticed, I own multiple raglan patterns, and I love them all. 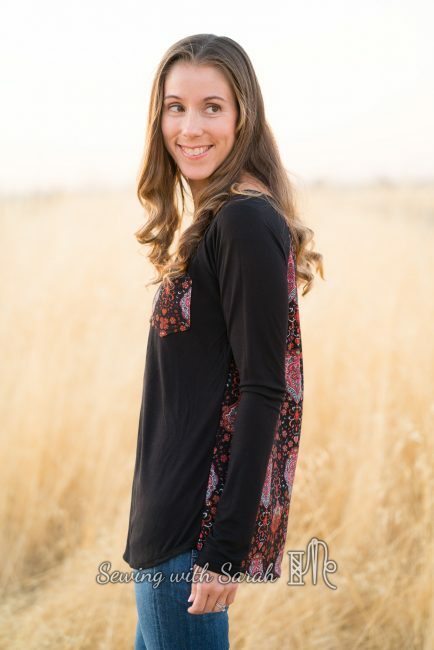 The Lane is my go-to for a loose (but not sloppy) fit with a lower neckline (perfect for nursing! ), and I knew it would be a great base pattern for my plan. I used a bamboo knit for the front, neckband and sleeves, cutting them per the pattern instructions. I then laid out my woven Bee Box fabric, and placed my back pattern piece 2 inches away from the fold, for a wider back. I marked the new center back, and placed pins 1 inch away on either side of the center back marking. 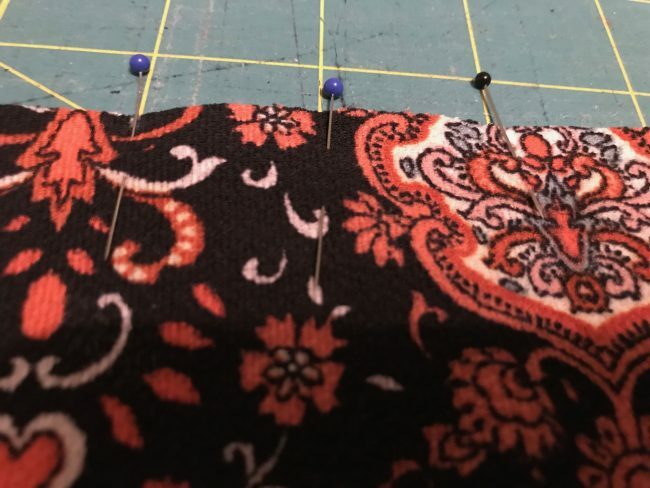 To finish off my new back piece, I folded out a small pleat, and basted it together at the top (you could gather it instead, if you like that look better, like I did here). 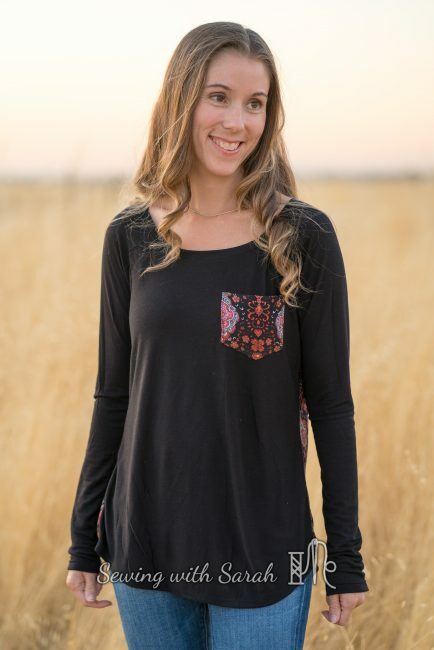 The rest of the top was sewn exactly as described in the instructions (and if you’ve never read a Hey June pattern, you’re in for a treat- they are always very thorough and easy to understand). 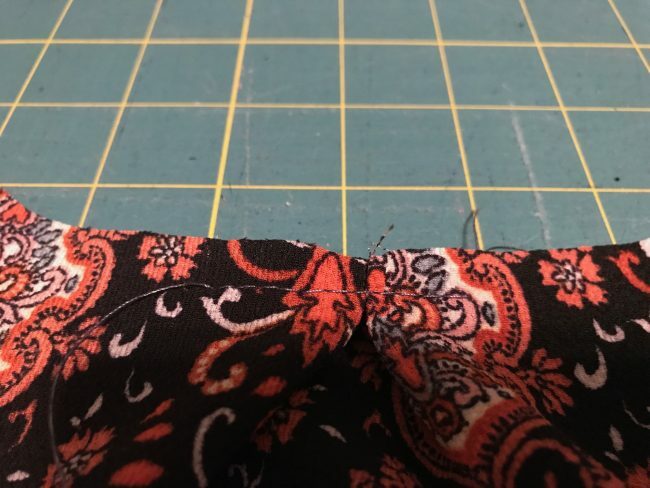 I used my serger and coverstitch for the construction, which finished the seams as I went along, but if you are using a regular sewing machine you’ll want to finish your woven edges so they don’t fray (check out my Wovens 101 post HERE). I even added a little pocket to the front (included in the pattern) out of the woven to pull it all together. 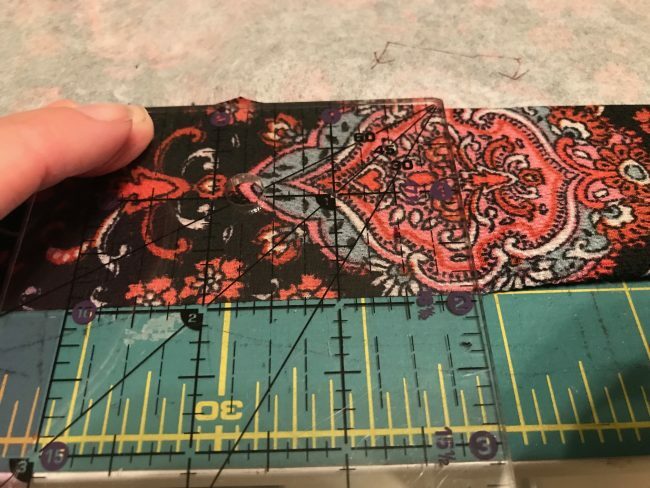 I love how the Bee Box challenges my sewing and design skills each month- and seeing what others make is always a favorite as well! You can sign up for the Bee Box here, if you’re interested in giving it a try! Love to be inspired? “Like” my page on Facebook and follow me on Instagram and let’s inspire each other! 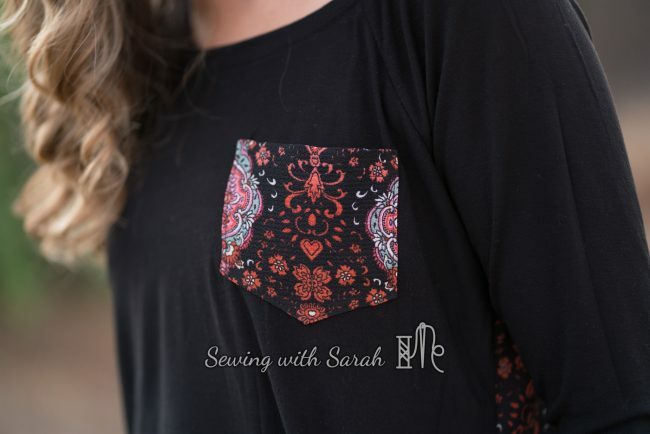 Note: Some links in this post are affiliate links, which means that if you choose to purchase a product using the link, a small percentage of your purchase, at no cost to you, goes back to me to continue to fund my sewing addiction. Thank you for your support!